Emerald East is located in the Kota Emerald residential township nestled in the fast-growing Rawang vicinity. The townshop comprises of several residential neighborhoods whereby each of the components is kept safe with 24-hour security and a guardhouse. Adding to that, the entire development is a guarded community. It is developed by GuocoLand Malaysia, a member of the Hong Leong Group. This 1,000-acre Kota Emerald township is made up of 2 precincts - namely Emerald East and Emerald West. This residential township consists of 2-storey link homes, cluster homes, semi-detached homes and bungalows. Among those completed projects are Amethyst, Topaz, Garnet and Amertrine. Other developments that are on-going are Jasper, Ivory 2, Ebony and Amberley. There have been over 1,300 homes have been built and sold until April 2010. This township is furnished with a lake, scenic gardens, streetscapes with street furniture, tree-lined pedestrian walkways, a recreation park and children's playground. Plus, it is built with a clubhouse, a sports complex, a community hall and kindergarten. There is also a 9-hole Golf Course at Emerald West. Several amenities can be found within Emerald East. Nearby schools are SMK Taman Desa 2, SK Taman Desa 1 and SK Taman Desa 2. For shopping, it can be done at Jusco Rawang which is located 7 minutes driving away. It is also within close proximity to Duta Palms Resort and Angler's Club. 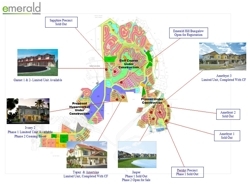 Emerald East is accessible via North-South Highway and Guthrie Corridor Expressway. 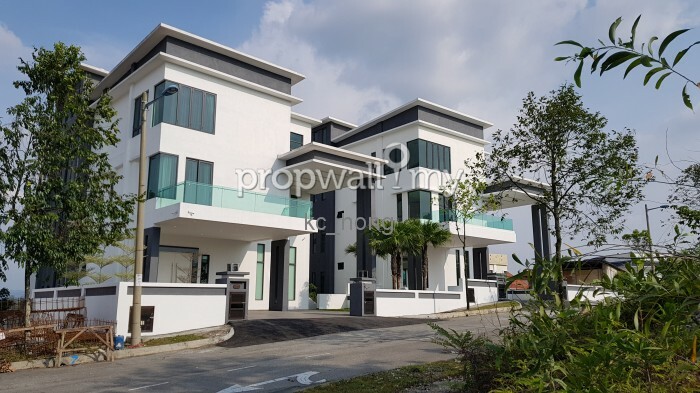 It is approximately 30 minutes drive from KL via the North-South Highway, 25 minutes via Jalan Kuching, 20 minutes via Jalan Duta and 20 minutes from Shah Alam via Gurthrie Corridor Expressway. In addition, it is about 3.91 km to Serendah KTM Station. The township environment of Emerald East is very serene and tranquil - as claimed by many residents and passer-by's. It is well furnished with lined trees and landscaped vegetations. No wonder Emerald is dubbed to become the prominent residential enclave of Rawang. Even though it is a secured area, there have been several break-ins occurred in the area at the moment of writing (April 2011). The residents claimed that the guards at the guard house are lazy and will open the gate barrier to almost anybody who wants to get in. Hence, if you are moving into Emerald East, perhaps you should fork some money for the alarm system. However, by July 2014, no similar claims have been reported as of late.